Michael Nyman is that rare thing. An artist who can work within the classical field while maintaining a popular appeal. His music has always challenged in the best possible sense but he has managed to transfer his sound to a wider arena. One can't really distil his essence that simply but it's significant that he is happy discussing The Beatles, The Pet Shop Boys or his beloved Queens Park Rangers, say, as he is immersing himself in opera, Mozart and John Cage. If the term Renaissance man is too often bandied about, at least in Nyman's case the central focus holds. His soundtrack work for the movies of Peter Greenaway resulted in a lengthy and fruitful partnership that takes in seminal scores for The Draughtsman's Contract, The Cook, The Thief, His Wife and Her Lover and A Zed And Two Noughts but since that time he has enjoyed an ongoing heyday – proving startling music for The Piano, Man On Wire, Wonderland, The Actors and a host of other well-received, award winning projects. An evidently important figure in modern British music our catalogue reveals his range and is ripe for discovery. Nyman was made a CBE in 2008. Michael Laurence Nyman is a Londoner from the old East End of Stratford. Educated in Walthamstow and Kings's College, London his studies concentrated on piano and seventeenth-century baroque, enduring inspirations for much of his subsequent career. Having provided the libretto for Harrison Birtwhistle's opera Down by the Greenwood Side he became a respected critic and is credited with coining the term 'minimalist music' in an article about Cornelius Cardew. The phrase is now so widely used it's worth tracking it to source although the ever-modest Nyman would rather mention his groundbreaking interview with George Brecht in 1976, which remains the definitive one. In 1976 the young Nyman released his debut Decay Music on Brian Eno's Obscure Records label. Eno also produced this piano and percussion disc, which contains three pieces constructed to suggest gradual breakdown. It remains a minimalist masterpiece and the liner notes, by the composer and producer, offer the best possible gateway to what will follow. Early music sources provided Michael Nyman with the inspiration for his Greenaway period. The Draughtsman's Contract (1982) was based on Henry Purcell and some key architectural drawings; it also credited Purcell as 'music consultant'. The first piece, 'Chasing Sheep Is Best Left to Shepherds' is stunning in the film and has since been sampled and performed by Nyman in various forms and by other ensembles directly indebted to him. The Pet Shop Boys and Divine Comedy have utilised the theme, which is based on Purcell's opera King Arthur. Other momentous tracks include 'The Disposition of the Linen', 'Queen of the Night' and 'Bravura in the Face of Grief'. Drowning By Numbers (1988) was composed for Greenaway with the proviso being that its themes are bound to Mozart's Sinfonia Concertante in E flat. True to his word Nyman provided the film-maker with a sonically adventurous suite, including 'Trysting Fields' and numbered pieces that make subtle reference to key bars in the Mozart piece – but the listener doesn't necessarily need to know such details to appreciate the beauty of the work provided by the Nyman Band. The Cook, The Thief, His Wife and Her Lover is amongst Nyman's best-known and most loved works. Not surprisingly the film itself was a box-office hit rather than an art house cult and Nyman's evocative and incisive score had a lot to do with its impact. Key pieces here are 'Book Depository' and 'Memorial'. Musically and emotionally influenced by Henry Purcell and the composer's reaction to the 1986 football Heysel Stadium disaster, the album is also noted for the London Voices work on 'Miserere' with Paul Chapman's boy soprano providing a key element in the film itself. Following a liaison with Ute Lemper on The Michael Nyman Songbook comes 1993's The Piano. This original soundtrack accompanies the Academy Award winning film and is a partial score re-recording made in Munich with members of the local Philharmonic Orchestra with key figures from the Band and Nyman on piano. Like all his celluloid works the album breathes its own air and this became a best seller that has lost none of its initial impact. After Extra Time (aka AET for footie fans) comes from 1996 and while the title is familiar to those poring over the results it's actually also a reference to Nyman's first wife whose name is Aet. Recording with two 'teams' – namely the Band and another brass and strings quintet featuring Steve Sidwell on trumpet and Martin Elliott on bass guitar, the music within is one of three tributes to the round ball in Nyman's astonishing repertoire – the others being The Final Score and Memorial. The man's list of recorded accomplishments doesn't end there of course. We point you to 1999's soundtrack for Michael Winterbottom's Wonderland, a light and sumptuous collection. 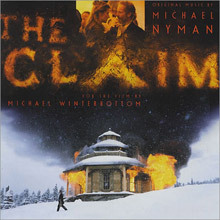 It is also well worth checking out his contributions to The Actors (starring Michael Caine and Dylan Moran), The Nyman/Winterbottom team also give us the composer's only soundtrack thus far for a western – The Claim, where he pays homage to Ennio Morricone and reworks some earlier themes while adding typically Ennio -like trumpet. Highly recommended and something of a cult item too since the box office takings didn't exactly match the movie's budget. Six Days Six Nights is another splendid rarity composed and conducted by the maestro for the French movie A La Folie. Hard to discern in the film itself the album brings the music to life and is an essential part of his 1990s oeuvre. He also provided the companion music to The Commissar Vanishes, based on David King's book about censorship in the Soviet Union, which is teamed on disc with background pieces for a Greenaway installation from the previous decade, The Fall of Icarus. Adding further heft to the catalogue there's, Live (recorded and released in 1984), the very first commercially available document of the MN Band captured in concert one two nights in Albacete and Madrid. The disc includes genuine favourites like 'The Embrace', tracks from The Piano and the superlative skills of the Moorish 'Orquesta Andaluzi de Tetouan'. A real eye and mind opener, the air, light and space on this album ensure its position at the top of Nyman's live work to date. To complete an ongoing tale there is the indispensable The Very Best Of Michael Nyman Film Music 1980-2001 where Greenaway movie themes are integrated into a whole that offers the previously unreleased Homage to Maurice and similar must have curios from Monsieur Hire, The End of the Affair, Gattaca and The Diary of Anne Frank. Segued alongside are compositions from The Essential Michael Nyman Band and his Live disc, providing a marvellous overview of some forty tracks on two Cds. If minimalist music be the food of love – then bring it on. Michael Nyman is a national treasure and the very epitome of great modern British classical music, and then some. Check him out at once. You will be enthralled. The Piano can be best described as Nyman’s most distinguished work and is certainly his most famous. Recorded in 1993 on Virgin Records for the Academy Award winning film the score for The Piano includes the beautiful ‘The Heart Asks Pleasure First’ which has become a piano music standard covered by many other artists. The music is performed by the Munich Philharmonic Orchestra conducted by Nyman and supplemented by members of his band. This soundtrack is one of the most moving and mesmerising scores from a modern composer and remains as one of the bestseller in movie music history. 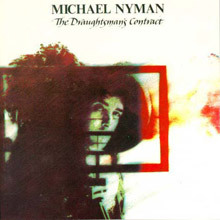 Decay Music was Michael Nyman’s debut album released in 1976 and is one of his most celebrated works. It originally came out on Brian Eno’s Obscure Records label but was re released in 2004 on Virgin and is viewed by critics at the forefront of British avant garde music. Inspired in part by Erik Satie Decay Music shows Nyman’s interest in minimalism and his love of artists like the Velvet Underground. This is heard in the segments of loops of piano, bells and percussion which permeate the album. Decay Music is a sublime work and well worth investigating. 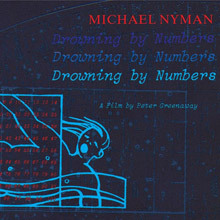 Having already scored a few successful soundtracks for director Peter Greenaway, composer Michael Nyman applies his minimalist and romantic art to the director's 1988 release Drowning By Numbers. 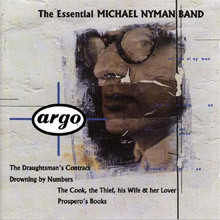 While not as provocative as future Greenaway collaborations like The Cook, the Thief, His Wife, and Her Lover and Prospero's Books, this disc contains enough solid material to keep the Nyman faithful satisfied. Taking the slow movement from Mozart's Sinfonia Concertante for Violin, Viola, and Orchestra as inspiration (a piece Greenaway had suggested), Nyman concocts a series of fetching variations that both reflect the luminous buoyancy of the original and come off as very original pieces in their own right. Nyman again enlists his crack band to handle the horn and string proceedings. Along with members of the Balanescu Quartet, the large ensemble features a variety of horn players, including standout tenor saxophonist John Harle. Nyman plays piano and conducts. The group stealthily works through a mix of string-only pieces, brass numbers, and full-band cuts, consistently keeping Nyman's mix of elegiac and stuttering minimalism afloat. A fine addition to Nyman's soundtrack catalog. As one of Britain’s most innovative and celebrated composers Nyman’s work encompasses operas and string quartets to film soundtracks and orchestral concertos. This ‘Best Of’ album released in 2001 concentrates on his major film themes from over 20 years. Music from The Piano, The Diary Of Anne Frank and the End Of The Affair plus four previously unreleased tracks are all featured on this double CD. They are ‘Miranda Previsited’ from La Traversee De Paris,Homage To Maurice from Nelly’s Version plus ‘Skating’ and Peeking’ from Monsieur Hire. 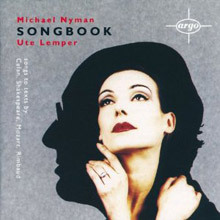 On Songbook Nyman takes a step away from his usual work as a movie composer and joins forces with Ute Lemper, a multi-language female singer of Cabaret and Jazz Ballads. There are four main compositions in Songbook based on texts by Paul Celan, Mozart, Arthur Rimbaud and William Shakespeare. All show great virtuosity with moving interpretations of the poems and lyrics of these iconic figures. 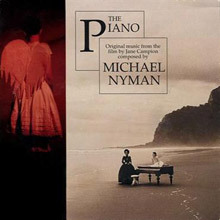 Hailed as one of the most prolific and solid composers of the 20th century, Michael Nyman certainly made a name for himself with the elegant film score to the Academy Award winning drama The Piano. 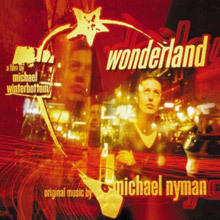 With various compositions under his belt, Nyman added the original score to the Peter Berg-directed film Wonderland in mid-2000. 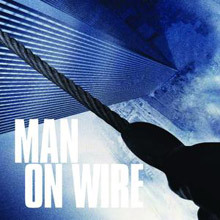 This soundtrack from James Marsh’s extraordinary documentary about Frenchman Phillipe Petit’s stroll between the towers of New York's World Trade Centre is truly inspiring. The music sees Nyman interpret this amazing story with his haunting melodies ‘Dreams Of A Journey’, ‘Trysting Fields’ and the tremendous and poetic ‘Drowning By Number 2’ all stand out. Another film soundtrack triumph by Nyman, in the world his is so comfortable in, weaving his magic melodies behind startling visual imagery. Michael Nyman's sweeping score to director Michael Winterbottom's film The Claim might contain the most mournful compositions of the composer's career. Nyman's most successful scores in the past have been those where he explored baroque minimalism, as seen in his film scores to many Peter Greenaway films, and those where he tackled strong emotions, as in his score to Jane Campion's The Piano. 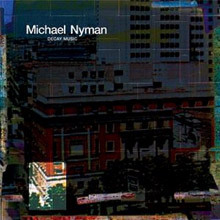 With The Claim, Nyman composes in broad strokes; the minimalism of past compositions is still on display, but it's buried under a wall of evocative strings and weary brass through most of tracks. Some critics have called The Claim Nyman's answer to Ennio Morricone's score for Sergio Leone's Once Upon a Time in the West. It's not really a fair assessment of either score. It's true that there are echoes of "Jill's Theme" from Once Upon a Time in the West, perhaps most clearly in "The Burning," but the two composers display entirely different intentions and emotions. Morricone's score had overtures that sounded like rock music; there are moments in Morricone's score where a paranoid harmonica and raging distortion suggest infinite menace. As accomplished as Morricone's score is, there are definite camp underpinnings; that's the nature of a spaghetti western score. Nyman operates in a far more restrained set of boundaries. There's never a moment when the music sounds anything less than classical and refined. Each of Nyman's individual compositions strive for a myriad of feelings, whereas Morricone used his compositions to display the mood of the on-screen action, be it pensive, tense, or horrifying. 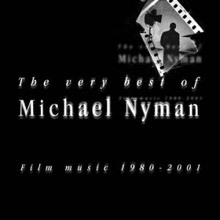 The Essential Michael Nyman Band collects some of the music Michael Nyman has composed for the films of director Peter Greenaway. The films represented here are The Draughtman's Contract, A Zed &amp; Two Noughts, Drowning by Numbers, The Cook, The Thief, His Wife &amp; Her Lover, Water Dances, and Prospero's Books. One might consider this collection to be a "Best of Nyman/Greenaway." Nyman's music is an essential element of Greenaway's films, as the director usually shoots his film to the music after it has been composed and recorded. Greenaway's films are known to be surreal, manipulative endeavors, and the Nyman compositions on this album are no different. There's an off-kilter intensity to much of the goings-on, and Nyman's band always sounds commited to achieving the final, epic vision. The selected compositions are all quite superb, showcasing meditative pieces with all-out classical attacks worthy of a disturbed techno artist. Nyman's music reveals many emotional layers, including the distant, baroque grandeur of "Time-Lapse," the sad grace of "Fish Beach," and the modern opera of "Miserere Paraphrase." Most of Nyman's critics lump him into the school of classical minimalism associated with Philip Glass and Steve Reich. That is pretty good company to keep. While there are ample doses of repetition in Nyman's work, there is always some greater destination. Most of the pieces here hover around the five-minute mark, making the entire album quite accessible. The title of the album says it all for Nyman or Greenaway fans, as it is certainly nice to have the strongest tracks from the film scores in one place. Opening with the superbly titled 'Chasing Sheep Is Best Left To Shepherds’ this soundtrack from 2005 of Peter Greenaway’s highly acclaimed movie is performed entirely by Michael Nyman Band. The film set in rural Wiltshire as a period piece reflects the influence of Henry Purcell in the musical score but overlaid with Nyman’s new melodies. Rather amusingly Nyman described Purcell as ‘music consultant’ in the movies credits.